Senator Dino Melaye, representing Kogi West Senatorial District in the National Assembly (NASS) stirred the hornet’s nest recently as he took a swipe at the Nigeria’s power sector, describing it as reeking of corruption. Acting on the mandate and directives of the upper legislative chamber, the Kogi-born Senator during plenary, presented a substantial motion on what he referred to as “series of financial abuses in the power sector”. Apparently securing the nod of his colleagues on the presentation of the motion through a voice vote, Melaye went ahead to expose the alleged financial impropriety within the power sector. Citing Order 42 of the Senate Standing Rule, Melaye, who is renowned for his knack for controversy drew the attention of his colleagues to the $1.35 billion allegedly squandered within the power sector. He explained that about $1 billion Eurobond raised in 2003 to fund key power sector projects was allegedly spent by officials of the Ministry of Power without appropriation and feasibility study. According to him. “In July 2003, the Federal Government raised $1 billion from Eurobond issue, from which $350 million was given to Nigeria Bulk Electricity Trading Plc (NBET), in 2014, this money was stolen in installments”. He added: “Sometime last year, the ministry of power came up with an idea of a project they called Afam Fast Power to build new generating power plants to add power to our grid, so far $35 million has been spent by the ministry of power on the Afam Fast Power project without appropriation or detailed feasibility study”. The motion also sought to know how $29 million was purportedly paid to General Electric for turbines, while other firms received $6 million for same project. Senator Melaye in his vintage hyper critical posture, urged fellow senators to carry out thorough investigation on the matter in line with the anti-corruption fight of the Federal Government. Senator Melaye’s revelation of the festering rot in the power sector has put the ill-fated sector in the eye of the storm, with its activities now placed under strict public scrutiny. Lending their analytical views on evolving activities in critical sectors of the Nigerian economy, such as the Nigeria National Petroleum Corporation (NNPC) contract scan, pundits are of the view that the content of Senator Melaye’s motion should not be swept under the carpet. A Port Harcourt-based lawyer, Barr Barivule Kpobe, who commented on the alleged power sector fraud as revealed by Melaye, said Nigeria power policies over the years have been a mirage. According to him, “the more you look, the less you see paxiom best portrays the trend of activities in the power sector”. “The Nigeria power sector has gulped billions of tax payers’ money but various attempts to fix the sector have slipped into institutional fraud and apparent misappropriation of funds”. A public affairs analyst and Environmental sociologist, Dr Steve Wodu also expressed disappointment over the management of the Nigeria power sector and its attendant embarrassment on the psyche of Nigerians. 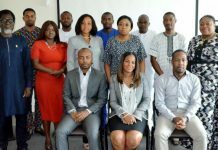 Speaking with The Tide in an interview the senior lecturer in the Department of Sociology, University of Port Harcourt, said the rot in the power sector was a reflection of the “tactical institutional failure in the country”. Wodu noted that Melaye’s revelation was not the first time that such fraud was unearthed in the power sector, noting that the Nigeria power sector has been prone to mismanagement of funds over the years. According to the university don, the lack of sustainable power supply in the country was the fallout of such institutional mess. Wodu also picked holes in the anti-corruption campaign of the Federal Government. He observed that the anti-corruption drag-net is yet to catch up with some people with obvious corruption stains who still move around with impunity. “The Federal Government should be proactive in its anti-corruption campaign and ensure that the law takes its full toll on any one found to be corrupt, this will make the people to build confidence in the anti-corruption campaign,” he said. In his view, an expert in renewable energy as alternative source of power supply, Elder Elkanah Hanson faulted Nigeria power policies, describing it as one of the most enduring “colonial legacies” in the country. Speaking at a public function in Port Harcourt, recently, Hanson said the fraud in the power sector was as a result of unrealistic power policies which Nigeria inherited from the colonial masters without due consideration for the peculiar power demand of the country. Elder Hanson called for total scrapping of Nigeria’s electricity laws and a paradigm shift to renewable energy as the source of power in the country. According to him “a renewable energy is more convenient and cheaper to generate. Nigeria has the capacity to generate enough power supply for the entire country through renewable energy, we have to follow the global trend as we cannot orbit independently of the world”. The expert also called for a total overhaul of the power sector with experts and technocrats taking the centre stage, and decried the present practice in the sector where participation in the sector is driven by political considerations and not expertise and service delivery. On Melaye’s revelation, he called for the prosecution of all those linked with the scandal no matter how highly placed. 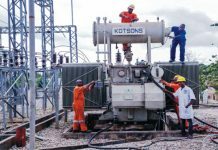 In his postulation, a mechanical engineer, Festus Tor, said Nigeria’s economic woe was as a result of the failure of the power sector. While commending the Federal Government over its efforts in reforming the power sector, he called on the Senate to carry out a thorough investigation on the alleged mismanagement of fund meant for the actualisation of the Nigeria Integrated Power Project (NIPP). Tor also urged the government to encourage local technocrats and entrepreneurs through the provision of incentives to foster a more home driven and efficient power policy. “Nigeria is a very big economy, and the only way we can compete with the rest of the world is through sustainable power supply. Nigeria technocrats should be encouraged to play key roles in policy formulation and implementation in the power sector”. Tor also called for the review of the Nigeria power sector with proper involvement of states in the generation, transmission, and distribution of power. An analyst, Mr Fidelis Nwiyor, who also spoke on the issue, commended Senator Melaye and the Senate in general over their move to investigate the management of the $1 billion Eurobond by the ministry of power. He said the recent probe of the power sector by the Senate will test the strength and commitment of the National Assembly towards checkmating the appropriation and disbursement of public fund. However, some analysts are also skeptical over the fact that Melaye’s motion might as well be another antic of the Senate to continue their intermittent feud with the executive.